As 2017 draws to a close and the countdown to Christmas is finally underway, the team at Steon would like to wish you a Merry Christmas and prosperous New Year. We would like to take this opportunity to express our appreciation for your business throughout 2017 and we hope to continue growing our partnership with you in the New Year. Since 2017 has been such a significant year for Steon Lighting and we’d like to share with you our highlights. 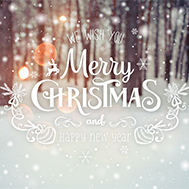 We wish you a Merry Christmas and extend our best wishes for the New Year. Steon Lighting will be closed from 4pm 22nd December 2017 until the 2nd January 2018. Since joining the Lighting Industry Association, our lighting designers have been enrolling themselves on numerous courses to continuously develop and further enhance their technical knowledge and understanding of lighting technologies. We would like to congratulate our designers for achieving outstanding results on the courses below. This 5 day course provides a solid foundation of knowledge to help improve designers understanding of lighting fundamentals, including the characteristics of light sources and the best practices of lighting design. To be awarded the LIA Certificate three modules must be completed followed by a comprehensive self-study project. The lighting project is intended to test the designers’ understanding of the concepts covered in the previous modules and the designers’ ability to apply them to a scenario in order to create a commercially viable lighting design scheme. 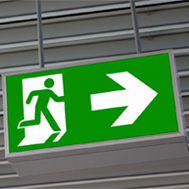 This intensive course aims to provide the prerequisite knowledge to advise on and design emergency lighting schemes. Our designers are confident in ensuring that emergency lighting is compliant with the needs of the fire risk assessment and fit for purpose in case of an emergency.